Want to be bronzed and beautiful for your big day? Cocoa Brown by Marissa Carter is offering one lucky bride a hamper filled with all of the products from the range to ensure your skin is glowing as you glide down the aisle! 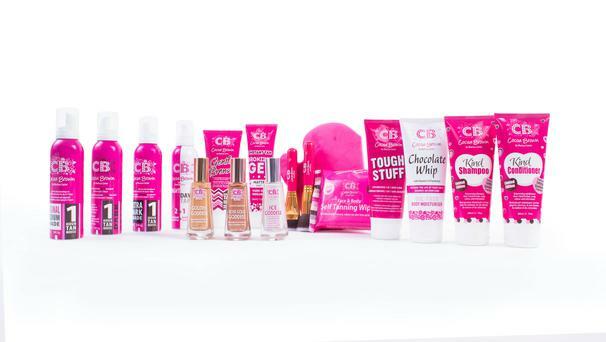 Win an entire hamper full of Cocoa Brown goodies! To celebrate the launch of THEVOW.ie, Cocoa Brown by Marissa Carter have teamed up with the new home of modern Irish weddings to offer one lucky reader a chance to win a hamper of tanning essentials worth over €150. Founded by Dublin-born CEO Marissa Carter, Cocoa Brown launched five years ago with the world’s first 1 HOUR TAN. In five short years, the award-winning brand has grown to be one of the world's leading tanning brands. Available in 21 countries and with over 15,000 stockists around the world, Cocoa Brown by Marissa Carter has achieved international cult-status and is the number one selling tan in Ireland, selling an impressive three bottles a minute. The award-winning tanning brand is worn and loved by countless celebs including Kylie Jenner, Khloe Kardashian, Joyce Bonelli and Millie Mackintosh. Cocoa Brown by Marissa Carter has found itself featured everywhere from Cosmo to Vogue and is a regular feature in Irish glossies. Following on from a successful launch in Canada this July, Cocoa Brown by Marissa Carter launches in Russia this September and will be launching in two additional new marketplaces before the end of 2017. Competition closes at noon on Tuesday August 29th. One winner will be chosen at random from our Facebook page.